← Holiday Regrets…the morning after! New Years resolutions, cleanses, special extreme diets, elimination diets, juicing….so many choices of ways to start the year off clean and healthy. What Should You Do? Every year we are bombarded with ideas of ways to clean out your body and get rid of the toxins…and every year I remind all of my clients that your liver and your kidneys are AMAZING organs that clean out your body EVERY SINGLE DAY, not only in the month of January. If you take care of your body throughout the year and feed it good food and keep a balance in life, your body will take care of you. If the new year is the kick start you need to make a healthy change in your life, than please go for it….but do not look for a cleanse or a crazy diet to fix your health concerns. There are many pieces that work together for weight loss…calorie consumption, hormone levels, vagal nerve stimulation, appetite and BMI. The toxins that you put into your body are not eliminated because you drank a juice cleanses for 3-4 days. Every day your organs are cleaning your body and working to rid it of chemicals and so called toxins. There is no storefront fix that will do the cleaning for you. Your diet and lifestyle choices are what determines how successful the cleaning process will go. If you feel like you have consumed too much alcohol, make a decision to significantly reduce your consumption. Be aware that if you decide to eliminate alcohol for a specific time, when the time is up, do not over compensate after and return to your regular consumption. Make a decision to reduce your consumption as a lifestyle. If you want to “clean out your digestive system”, do not rely on an expensive cleanse system to do it. Begin to make your own meals and reduce your meals out at restaurants. Plan for you meals throughout the day and don’t skip meals. If you skip meals, you are more likely to over eat at the next meal. Choose whole foods and eat all of them. Eat the skins of certain fruits and vegetables. Don’t just drink the juice, eat the fruit…chew, chew, chew. Buy healthy proteins and make a balanced meal. 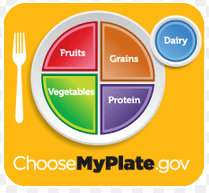 Your plate should include protein, vegetables, fruits, and grains. This will allow your body to have fast energy from simple carbs, slow release energy from the proteins, and fiber from the vegetables and fruits. Take care of your body! Feed it healthy foods, move it as often as you can and rest it every night. If you have a vacation or evening out and you go overboard with food or alcohol, don’t give up! The next day you can get yourself right back on track! If certain foods seem to make you feel bad (dairy, too much gluten, certain vegetables, etc…) then try an elimination diet. For a few weeks, eliminate that type of food to see if you feel better. Your body may have a sensitivity to that particular food. You may be able to reintroduce those foods again, you just might have to reduce the amount you consume. Don’t fall for the EASY solution to your weight loss problems. There Is No Easy Fix! There is no magic pill that will put you back in your high school jeans, DON’T BELIEVE THE LIES! Weight loss is hard work. You have to put in a lot of energy and work in order to loose the weight. Take care of your body & it will continue to take care of you! This entry was posted in Diet, Exercise, Fitness, Health, Health & Wellness, Holidays, motivation, New Year, nutrition, Resolutions, weight loss and tagged balance, cleanse, diet, healthy, lose weight, new year, New Years Resolutions, resolutions, weight loss. Bookmark the permalink. 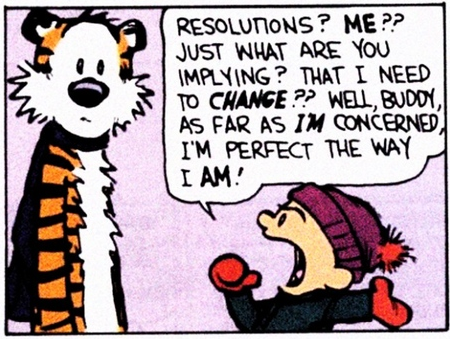 1 Response to New Years resolutions, cleanses, juicing, extreme dieting…WHAT DO I DO?